1. Found out that the guy that owns WBNX, Ernest Angley (sp? ), a well known televangilist in the Akron area, defaulted on a loan for the station. He's been in financial trouble for some time - he owes 3 million plus back to Beck Energy for the station - which might have been the cause for why he let the CW go to Raycom (who has a much better relationship with The CW, as I have heard). Right now, WBNX is Independent. I remember living close to Cleveland and watching FOX Kids on that station when I was a teen (yes, child at heart I was and still am). 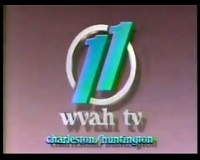 I remember when they got the WB affiliation and WUAB was trying to juggle the UPN and WB affiliations. 2. This officially means that the DirecTV Wheeling channel lineup will finally have some sort of MNTV affiliation to it. It was carrying WBNX as the default CW affiliation since the only CW affiliation that Wheeling has is the Xfinity only WBWO. MNTV might not be a big get unless you consider who the Wheeling MNTV affiliation is: WTRF-DT2, which also carries a 10PM newscast there. DirecTV simply REFUSES to carry this subchannel for some odd reason, with them giving me some BS about how WTRF would refuse to allow DTV to carry the My Network TV channel on their service when WTRF CBS and WTRF ABC is present on DTV (and no MNTV offerings from NY/LA exists on the lineup for whatever reason, so I have no CLUE what gives there). It's not the MNTV affiliation specifically that bothers me, but the 10PM newscast that would serve as an alternative to Sinclair 9...I mean, WTOV's 10PM newscast on their FOX affiliation subchannel. That's another form of competition for that channel's newscasts. I have no clue why DTV is spinning that story, because the story I got makes no sense at ALL. But the MNTV half of that is resolved with this change (in the event you were ever curious as to what MNTV broadcasts or cared enough to take a peek). I just found out this change tonight when I noticed they removed WBNX and added WUAB. The reactions are mixed (WBNX reportedly had The CW affiliation locked up until 2021, so SOMETHING happened). Some are not happy due to a few believing that the reception was not good on those two channels, but others see that this is Angley's troubles just continuing to get worse, and that he just didn't care to pay off that loan.